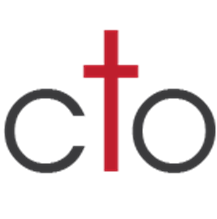 The India Ministry conducted by CTO is a year-round effort to better equip and encourage pastors in India who have minimal opportunities to receive those things on their own. It centers around a 4-week schedule of conferences and training programs each January-February, led by Rev. Dr. Jerry Schmoyer from CTO and Pastor Moses of India. These free conference can be one, two or three days long depending on the need. Some focus on in-depth training for pastors who lead a group of churches with pastors serving under them, others are for pastors who have had no training whatsoever in ministry. Conferences consist of four teaching sessions, free meals, and snacks as well a housing for two or three-day conferences, a stipend to cover transportation costs and free books which we have written and translated into their native language, Telegu. These are “What God Expects of Pastors,” “Spiritual Warfare,” “Marriage and Ministry,” “Prophecy” and “Bible Overview.” Other books will be coming in future years. In addition, we Provide financial support to assist pastors in need. We also help with health and building needs as possible. Throughout the year follow-up conference is in India as well. This is a year-round ministry that helps many pastors who would have no other help in their ministry. We also maintain a website with many, many valuable training materials for pastors in India as well as information for others who want to learn more about this ministry. We support 25 pastors by sending them $25 a month support. This makes a great difference for most exist on just $50 a month without it. The pastors we train come from the following denominations: Baptist, Pentecostal, Independent, Methodist, Lutheran, Salvation Army, Mennonite, and others.